But Montague is legally bound to keep the peace by the Prince’s edict just as I am. This shouldn’t be difficult for two old guys like us. It’s a pity that two men of such distinction as you are have lived in conflict for so long. But now, my lord, what do you think of my request? I’ll just repeat what I said before. My daughter is so young--not yet 14. We should wait at least two more years before she marries. Younger woman than her have become happy mothers. They may have been successfully made mothers, but many were also damaged by being married so young. 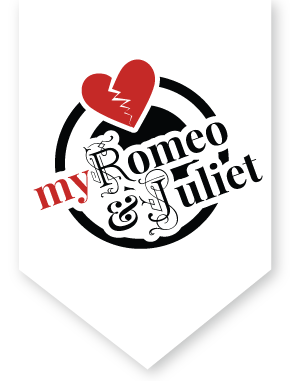 Juliet is my only surviving child, the heiress to the Capulet estate, the great hope of my world. But you need to court her, Paris. You must win her over. What I want is just one factor; her consent is the most important one. If she takes to your wooing, then my consent will be in accord with her desires. Tonight I’m throwing my traditional dinner party. I’ve invited many good friends, and you are most welcome to come and be one more guest in that company. One more most welcome, makes my number more. At my modest little villa, you’ll see girls so dazzling that you’ll think the stars have come down to earth and brightened Heaven itself. When you find yourself among these sweet-smelling girls just blooming into women, you’ll feel the delights of spring fever, I assure you. Come join and take it all in. Go after whichever girl you like the best. You may find that among all these lovely women that my daughter Juliet is just one of the crowd to you. Come, walk with me. May stand in number, though in reckoningnone. Go around Verona and find the people written down on this list. Tell them that I await the pleasure of their company at my party tonight. “Find the people written here”, he says! What’s that old saying? “The shoemaker should stick to his yardstick, the tailor should stick to his foot model, the fisher should stick to his drawing pencil and the painter should stick to his fishing nets.” Here I am sent to find the people whose names are on this list, and I can’t read a thing. I have to find someone more educated. And quickly! person hath here writ. I must to the learned — in goodtime. Come on man, one burning passion will burn out your last one. One kind of pain is drowned out by a different one. Be cheerful, and turn things around. One sad thing seems less sad when there’s something new to mourn. Get yourself a new disease by looking around, and your old love sickness will die off. Your basic herbal leaf is good for that. For a broken shin, a broken heart, whatever. Are you going crazy, or what? [To the servant] Good e'en, good fellow. No, I’m not going mad, but I feel like a crazy person locked up in an asylum--not eating, tormented ... [To the servant] Good afternoon, good fellow. Good afternoon to you. Excuse me, sir, can you read? Well, I can read my own fortune, and it’s full of misery. Perhaps you read your future without reading a book. Can you read any writing that you see? Yes, but only if I know the alphabet and the language. Thanks for being frank with me. Have a good day. God gi' good e'en. I pray, sir, can you read? Perhaps you have learned it without book. But, I pray, can you read any thing you see? In his response to the servant, Romeo means "Yes, I can read in a language which I know." But the servant thinks that he's that he doesn't "know his letters", that is, that he can't read. So he starts to go on his way until Romeo calls him back, assuring him that he can read. Ye say honestly. Rest you merry! Stay, please. I can read. “Signior Martino and his wife and daughters; The Count Anselme and his beautiful sisters; The widowed Lady of Vitravio; Signior Placentio and his lovely nieces; Mercutio and his brother Valentine; My uncle Capulet, his wife and daughters; My fair niece Rosaline; and Livia; Signior Valentio and his cousin Tybalt, Lucio and lively Helena.” Quite an impressive group. Where are they all going? A fair assembly. Whither should they come? To supper, to our house. To a dinner party at our house. And whose house is that? Of course, I should have asked who your master was at the beginning. No problem, I’ll tell you without you having to ask. My master is the rich Lord Capulet. If you’re not a Montague, you should stop by for a glass of wine tonight. Have a nice day! "Unattainted" can mean objective, which would suggest that Benvolio wants Romeo not to be corrupted by a bias for Rosaline. But it can also mean not infected, which calls back to his metaphor of an eye infection in line 48. Rosaline, your obsession, is going to be at this annual feast Lord Capulet throws, along with most of the beautiful women in Verona. You should go, and try to look around objectively at some of the other women I’ll show you. Compared to those lovely swans, your Rosaline might just look like a plain ugly crow. If I ever stop worshipping Rosaline, turn my tears into flames and burn my eyes like religious heretics! My love is as beautiful as the sun and there’s never been a woman more lovely in the history of the world. In this metaphor, Romeo's eyes are like the two sides of a balance scale. When Romeo only has eyes for Rosaline, it's as if her image is on both sides of the scales. But if one side contains another beautiful woman, then Rosaline might not compare so well. Hey, you only think she’s beautiful because you haven’t weighed her beauty against anyone’s but hers. Now when you weigh her against a woman I’ll show you tonight, then Rosaline will hardly measure up. I’ll go to the party just to enjoy the splendor of my Rosaline, because I’m sure you can’t produce such a woman as that. And she shall scant show well, that now shows best.